Stop Foreclosure! 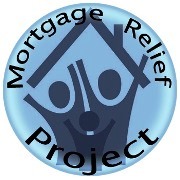 Mortgage Relief Project - (888) 718-0986. MRP Has Been Helping Homeowners Stop Foreclosure For 8+ Years! Are you struggling with your mortgage payments? Are you unable to refinance because your home is worth less than what you owe? Is your lender threatening to proceed with foreclosure? Have you already received a Notice of Default (NOD) or Filed Foreclosure? If you answered “yes” to any of these questions, contact us today to discuss your options! 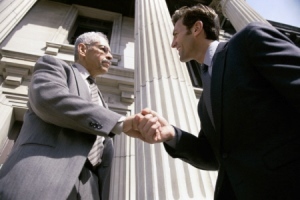 Trying to stop foreclosure and negotiate with your lender is difficult. First of all, homeowners often lack the knowledge of available programs and applicable laws. Secondly, the process of applying for assistance is difficult to navigate, even for professionals. Lastly, most homeowners simply do not have the time necessary to manage the negotiations. As a result, many homeowners hire an attorney to effectively stop foreclosure and represent their interests to achieve the best possible outcome. However, how does a homeowner find an attorney that is qualified to handle their particular foreclosure case? Actually, we have simplified the search process by offering direct access to experienced foreclosure defense attorneys. These attorneys can stop foreclosure and find lasting solutions for homeowners with troubled mortgages. Our network gives homeowners easy access to attorney representation for a wide range of foreclosure related legal services, so learn more about available representation in your state today!